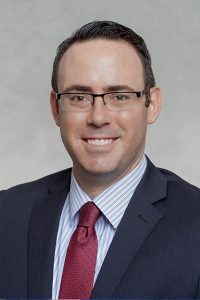 Michael L. Ehren is Senior Counsel at Lash & Goldberg LLP in Fort Lauderdale, a boutique commercial litigation law firm listed in U.S. News & World Report’s Best Law Firms and Martindale-Hubbell’s Bar Register of Preeminent Lawyers and one of five firms recognized nationally as Law360’s 2018 Health Care Practice Group of the Year. Michael is an experienced litigator who represents national and regional business clients, including Fortune 500 companies, hospitals and health care providers, telecommunications providers and professionals, in state and federal courts and arbitration proceedings throughout Florida. His diverse litigation experience includes a wide range of complex commercial disputes involving health care, telecommunications, consumer protection, class action, real estate/construction and employment issues. Michael has served as DDF’s President and Legal and Governance Committee Chair since 2018 and has been a member of DDF’s Board of Directors since 2015. He has also been actively participating in various cancer research fundraising and other charitable activities in the South Florida community and nationally for numerous years. Michael is a member of the Florida Bar, Broward County Bar Association, American Health Lawyers Association and American Bar Association, and serves on the Board of Directors and as Professional Development Committee Chair for the Nova Southeastern University Shepard Broad College of Law Alumni Association. He has also authored articles for national and state publications and mentored students and young attorneys through several professional organizations. Michael is a Broward County native and grew up in Davie. He received his undergraduate degree in Finance from the University of Florida, and his law degree from the Nova Southeastern University Shepard Broad College of Law. He can be reached at mehren@lashgoldberg.com.